Recently I saw a post where a blogger had their 10 year old child do a 'guest' post and shoot some pictures for her own guest post as well. (I wish I could remember where I saw it so I could give due credit!) I thought it was a great idea and was wishing I could do that with Julianna, except she is 2 and 1/2 years old and isn't allowed to touch my camera yet - haha! So ... instead, I decided to have some fun with this idea. 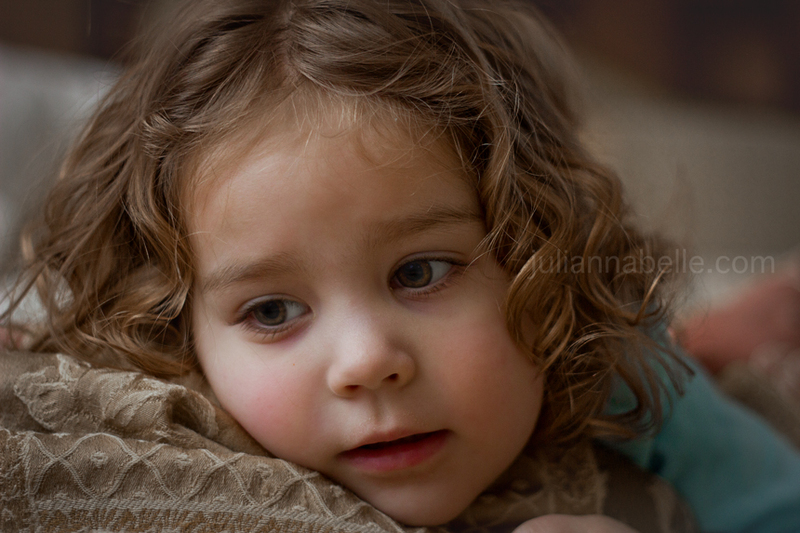 I came up with some questions that I could ask my 2 year old Julianna and post them here. I am of course answering as I think she would. As for the pictures ... well, I had to come up with something original. What is your favorite stuffed animal and what did you name him? My Baby Giraffe. His name is Giraffe. 1. My pretty curly hair that Mama insists on making perfect every day before I leave the house. I'm OK with it as long as she lets me put a barrette in Giraffe's hair too. 2. I can count to 20 and know all my colors! 3. When I smile, everyone else smiles back at me for some reason. 5. Mama and Daddy say I eat like a champ and they say they don't know where I put it all because they can feel my little ribs. Yucky, I only eat cucumbers that Mama cuts up and puts in my white cup and those little crunchy baby carrots. Who do you think I'd rather you be: an NBA ballplayer, the mayor, a famous explorer, or a movie star? Why? I think a movie star, maybe Minnie Mouse. She has nice shoes. 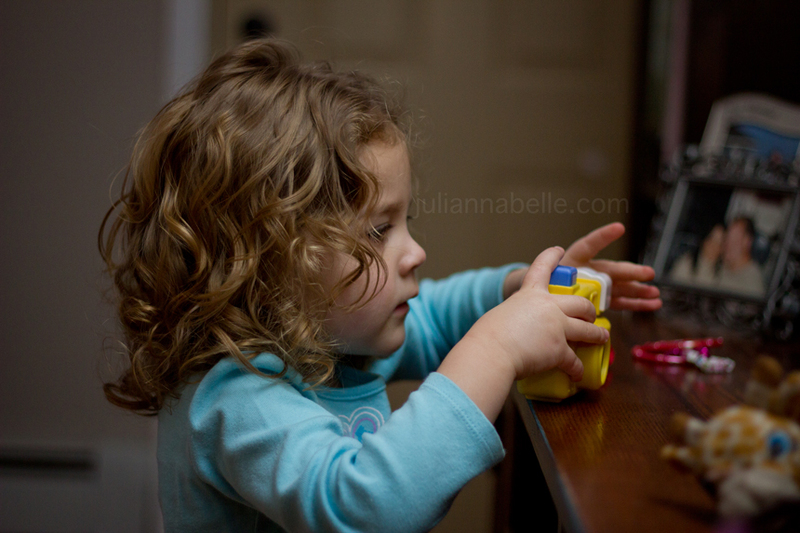 I like to play with my play dough with Mama and making snakes and spaghetti with it. What do you think are the characteristics that make a good parent? When Daddy snuggles with me. Do you think I lose my temper too often? Only when I'm a bad girl and don't listen to you Mama. I know you have my baby brother in your belly and you get upset easy now, but it's OK even though I cry sometimes. If you were going to have a weird, unusual pet, what would it be? A Giraffe- I love giraffes. Daddy and Giraffe. Mama too, but I hide my feelings from her sometimes. When I want to watch Mickey Mouse all day and they won't let me. I don't understand why not? And why don't grown-ups understand how much fun it is to chase the dog around and pull her tail & ears? And why don't grown-ups give me what I want when I lay on the floor kicking & screaming while having a major meltdown? Mama calls me crazy, so I guess if running around screaming, waving my arms and panting makes me crazy, then I must be. Everyone says I'm a happy girl, so I must be. And I must be a big girl because Mama and Daddy keep telling me I'm such a big girl and that I make them so happy. When Pepper licks me or tries to steal food off my plate. That I am a good giraffe Mommy. Hold her hand while we walk outside and play legos with her. Not being with Mommy & Daddy. How are you like Daddy? I quietly observe a new situation and take in the atmosphere when we first get someplace new like the park or playground. Once I assess the situation, I then move in for fun. Play Hide & Seek and snuggle! 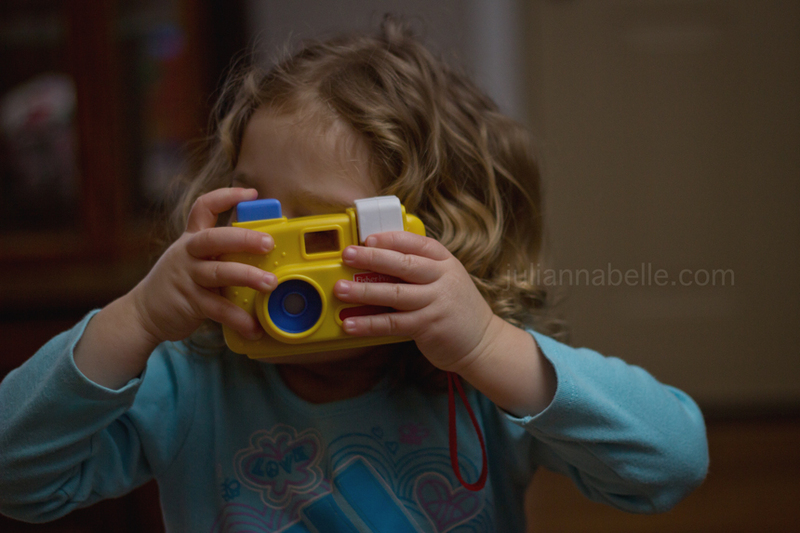 I was snapping some photos inside the house the other day - trying to get back into the photography state of mind lately.... Julianna quickly found her own Fisher Price camera and started taking some pictures too! She wants to be just like Mama! "Cheese Mama!" ........ She says cheese before she clicks her camera each time! Pretending to sleep.... Notice baby giraffe's head sticking out. What a cute idea! And I know I probably comment this all the time, but I LOVE HER HAIR! The color, the curls...it's just adorable. thanks kim! Yes, I will admit I am quite in love with her hair too LOL. We lucked out with that. 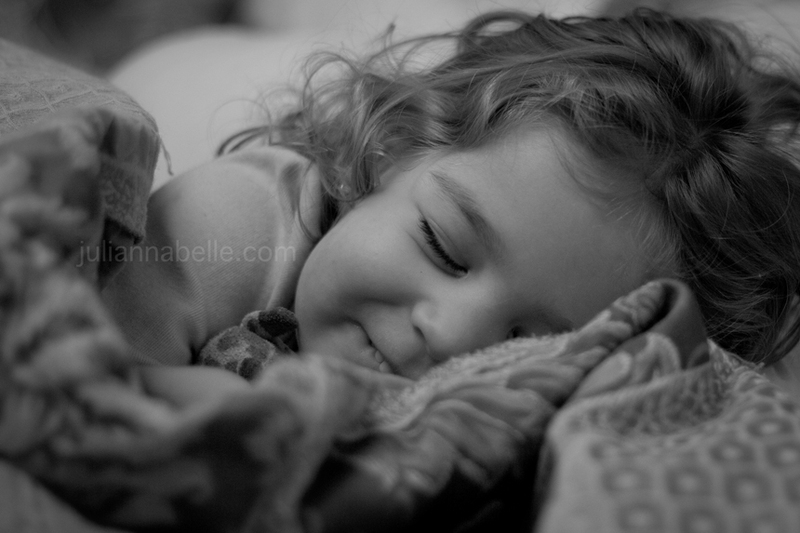 :) I have curly hair and she has Puerto Rican in her, so I can hope it stays curly as she gets older. thanks alicia! It was a fun idea to write about - I wasn't sure if it would be dumb or not but I guess it turned out ok! I like that Minnie shirt- I'll hvae to look for it LOL. Those curls are just amazing...she just keeps getting prettier! It's nice of her to let you make her hair perfect every day--I have to convince Kaia to hold still for five minutes each day, and she's five years old! This was such a cute idea...I might steal it too! It's so easy to see her personality...and she's so smart too! Counting and colors--awesome! !